One of my earliest memories of Carnatic Music is from the temple grounds of Kapaleeshwarar Temple in Mylapore, Chennai. I must have been less than five years old, I reckon. I remember playing in the sand under the stars while my parents listened to the musical outpourings of the maestros who ruled Carnatic Music at that time. When I went back to the Kapali koil many years later I looked for the sandy areas inside the walls but there were none…is it something I have imagined? Too many years have passed for my memory to retain facts other than a deep sense of contentment I felt in the holy grounds of the temple. I wonder, did the music conjure up images of the Divine for the listeners as potently as the idols within the temple do for the worshippers? Did they feel as blessed as I feel when I listen to music? Busy with my guests yesterday, I missed marking Shivaratri in any way. This morning I feel guilty, for yesterday should have been a day when my mind focused on the dancing Lord. I make up for it today for my guests have left. I listen non-stop to music, as a prayer, as a meditation, as a worship and I write this 200th post of mine in his honour. Listening to Kapali by Papanasam Sivan takes me to the hallowed grounds of the Kapaleeshwarar temple. Those far off memories are joyful ones for me, and this joy is echoed in the happy notes of Raga Mohanam in which the song is set. Who is He? Papanasam Sivan describes the Lord as the one with matted hair who is adorned by a snake, with a garland of skulls, wearing tiger skin, His body covered by ash. He is Kapali, meaning the one who holds a skull. Should not such an image be terrifying? But no! He who dances the dance of Time, His drum keeping the beat, His matted hair flying, His eyes flashing is the most attractive God of all! Though He is the God of destruction, He is life itself for does not each moment of our life die almost as we live it? There is much symbolism in the depiction of Shiva; I will leave that discussion for another day. The composer makes it clear that he too finds the Lord enchanting by setting the song in joyful Mohanam and saying in the last line of the song that ‘this enchanter captures the heart of all women who come before Him! I love the contrast of the rather frightening form of the Lord to the soft and lyrical notes of Mohanam. As a woman who has come before Him, I too have lost my heart to Him! If you would like to know more about this raga, click here. It is a struggle to decide which rendition to present to you because there are many excellent renditions of this kriti. I have finally decided on the one by D.K.Jayaraman (1928-1991) because in addition to being a wonderful listen, it is also a rare good quality video of a yesteryear artist from the eighties which is very much worth your attention. I am also very fond of Sanjay Subrahmanyan’s rendition (21 mins, I have not loaded the alapana) from the album Live at Gokhale Hall. For an instrumental version, I enjoyed U.Srinivas’s very pleasant 30 min rendition on the mandolin. His compassion (karuNai) pours (pozhi) like moonlight (nilavu), his face (vadana) is like a moon (madiyam) (=handsome), the one who holds a skull (kApAli). The marvellous (arpuda) one who is worshipped by (pOtrum) by the young (bAla) cowherd gOpAlam) (= Krishna? ), those from the place (dalattavar) surrounded (shUzh) by the ocean (Azhi), the kings (bhUpAlar) and the keepers (pAlar) (= deities) of the eight (ashta) directions (dik). He whose matted hair (masadaiyAn) is adorned (punai) with the moon (madi), the river (punal) (=Ganga), the snake (aravu), kondrai flower (=Indian laburnum, a yellow flower), tumbai flower (=leucas, a white wildflower), arugam grass and Umattai flower (=datura, a purple flower). He whose chest (mArbAn) is adorned by a garland (mAlai) of Brahma’s (vidi) head (talai), he who wears a skin (tOluDaiyAn) skinned (uritta) from a dark (kariya) [alternate : kariyin=of an elephant) mighty tiger (vem puli) . With his hands (kai) shining (ilangidum) with a drum (uDukkai) which makes a startling (adira) loud noise (muzhangum), a trident (tirushUlam), fire (angi) and a deer (kurangam). Worship well (tudi migu) the One who enchants the world (jagan mohana), his sacred body (tiru mEni) shining (tulanga) with ashes (sAmbal), who captures the heart of (manam kavar) the women (mangaiyar) who come before him (edir). DKJ singing Kapali, it’s like the song is made for him 🙂 My teacher accompanying him on the violin too, first time I stumbled upon this video was 3 years ago, unforgettable! Indeed it is wonderful to see DKJ sing; his evident pleasure in the singing adds an extra level of joy to Mohanam 🙂 Are you a student of T.Rukmini? You are very blessed to have such an illustrious Guru! Congratulations on the 200th post Suja. You run a wonderful blog and in my book a unique music blog like no other. Bravo. Mohanam is a wonderful raga – one of my all time favourites. DK Jayaraman’s rendering is beautiful – I hadn’t listened to it before and enjoyed it thoroughly. 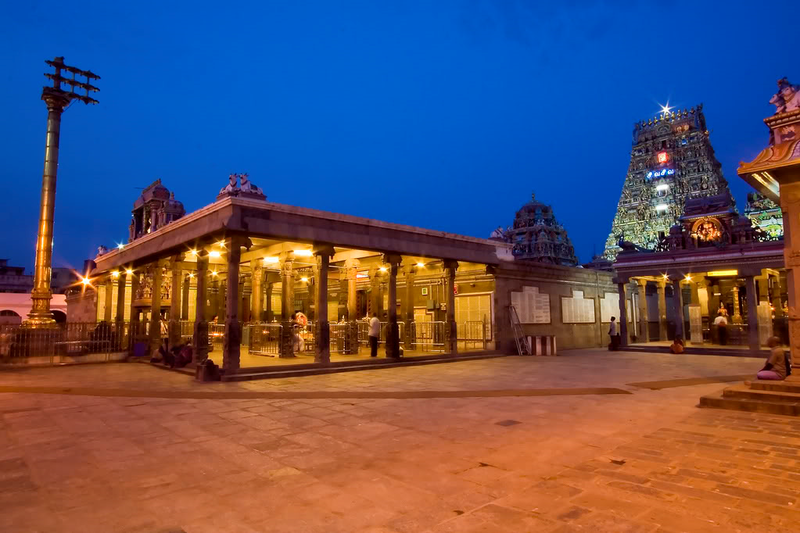 And as for the temple – no question of any sand or musical bliss anymore there, but it remains an enchanting temple – an oasis in the midst of an impossibly hustling Mylapore. Thank you Ramesh, your comments are much appreciated 🙂 So Kapalikoil remains an enchanting place albeit without music or sand? I am glad..its such a special place in my memories. Suja, going through your description, I was transported to the 1970s when at home we had a HMV gramophone and a long-play record of Veena by ChittiBabu. I used to listen to his enderings – over and over again – particularly “Shiva Leela Vilasam/Thandava Nrityam”(I’m not sure of the title of the piece) and right now the veena rendering has captured my ears – over 40 years later!! For a person with Zero (or negative) artistic bent of mind and no ear for music, it was a surprise to myself as I used to visualize the ‘dance of Shiva & Parvati’ – so beautifully generated in my mind’s eye by Chitti Babu’s Veena! The gramophone and the record are gone! I’ve not been able to get an audio/video CD here in Goa. I wonder/ask whether you’d bring-to-life the magic of Chitti Babu’s Veena for your ‘followers’ – along with ‘the selected’ video or audio to listen to – with your inimitable ‘commentary & researched details’. Thank you Raj for sharing your experiences with me and my blog readers. I remember my father used to be a great fan of Chittibabu as well. Each of us have some individual pieces of music and/or artists who ‘speak’ to us. Chiitibabu’s music evidently speaks to you, and that is a blessing indeed. I shall certainly select some of his music for one of my posts one day soon. My son is learning the Veena now and has been listening a lot to different Veena players, including Chittibabu. You shall see a post by and by. Wow, mohanam as a raga and its descriptive emotions can be multifold. Nannu palimpa remains to be my personal favourite, though kapali as a Kriti offers a lot more room for manodharma. Enjoyed the read. Adding you to my following list. Mohanam ragam is seems to be simple, but you can sing in different style.Most of cine songs are in this raga.Some where I read saint Tygaraja was asked to compose a song on Lord Rama on Mohananam. on the spot. That song only Mohana rama in in mohanam. Thank you Ramachandran for that very interesting little piece of information about Kalayana Rama. You are very right about Mohanam. Indeed it seems superficially simple but the variations are infinite! I have been listening to it all my life and still musicians surprise me at times with an interesting turn of phrase..the wonder that is music! Thanks for the comment. The intended audience of this blog are rasikas interested in appreciating the music with a bit more understanding and not as a resource for musicians for which I am quite unqalified to write about!